Nothing beats the authentic look of bricks! 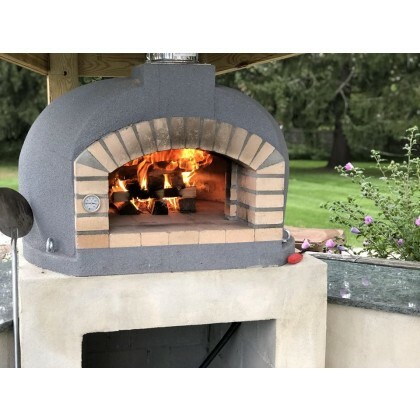 Before the advance of the modern day castable refractories all pizza ovens were made from brick and clay. Brick is still our favourite material. Our Portuguese ovens come just like you see them: already assembled. The Italian Neapolitan kit comes in pieces and requires assembly. The Giganto monster comes assembled but you will need a forklift or tractor to unload and move it. Please check the strong points of each oven. Just like children: we love them all! 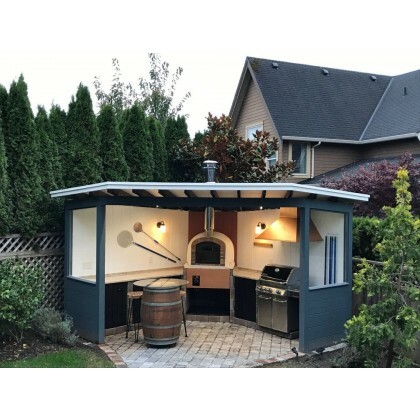 47" Wood Fired Brick Pizza Oven "Giganto"